flipclipz is an example of a light pleasant design. Combination of white and pink colors, images of shining adornments in assortment make this site interesting and popular for customers. 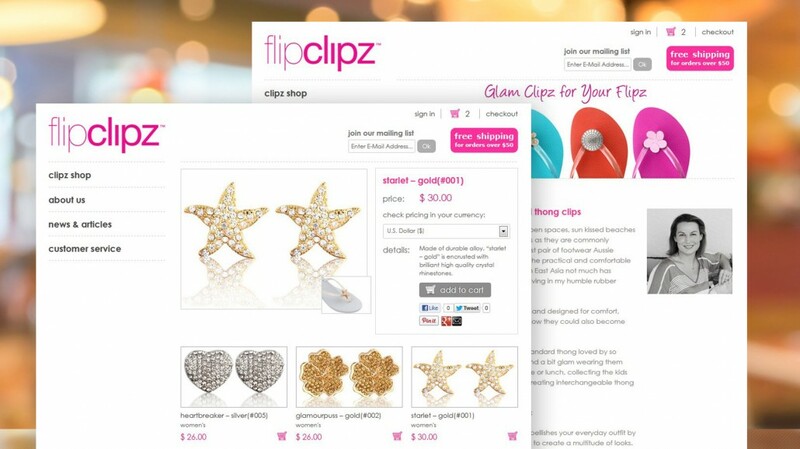 flipclipz is a simple e-commerce site which allows customers to buy what they want just in a few steps and owner to manage her site easily. Project Types: eCommerce Site, SEO, Website.